Just finished reading the series so far on here again, thanks for more! This was literally the fastest purchase I have EVER made. I have been waiting for this to get on fakku for soo long!! Does anyone know if a physical copy will be available? 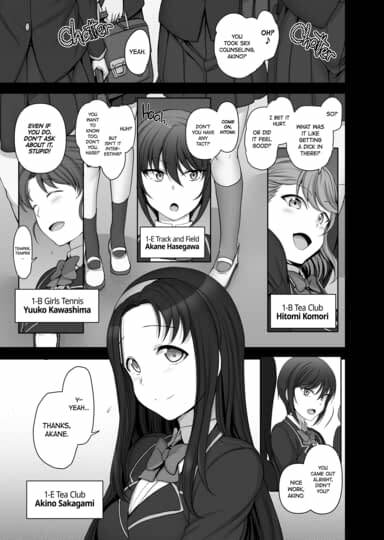 It's pretty unlikely unless Aiue Oka releases a tankoubon that has these chapters (however many there will be) included, and Fakku picks it up. Prints are a very real possibility for this series. Oh okay. Thank you for the info! IIRC, the only cases where FAKKU has done physical releases of any doujinshi has been for AX, and when they've done that, they were first released at AX before digital versions were available. That doesn't necessarily mean that something won't change in the future, and we'll start getting some of these doujinshi in physical form, but thus far, they're basically doing digital-only for the doujinshi. Thank you for making it a possibility ENSHODO!! You already have a guaranteed purchase from me! Love Aiue Oka's work, but isn't there a 2.5? Is 2.5 going to be released? I'm surprised this got released before it. I would like to see one featuring the girl at the end! There are no download links available for Hypnotic Sexual Counseling 2.75.